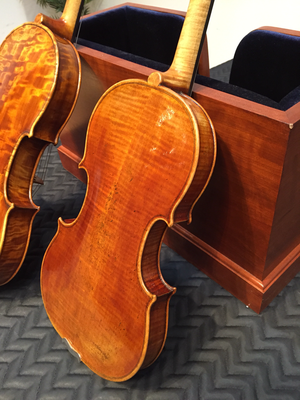 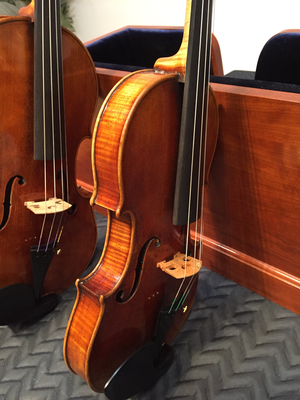 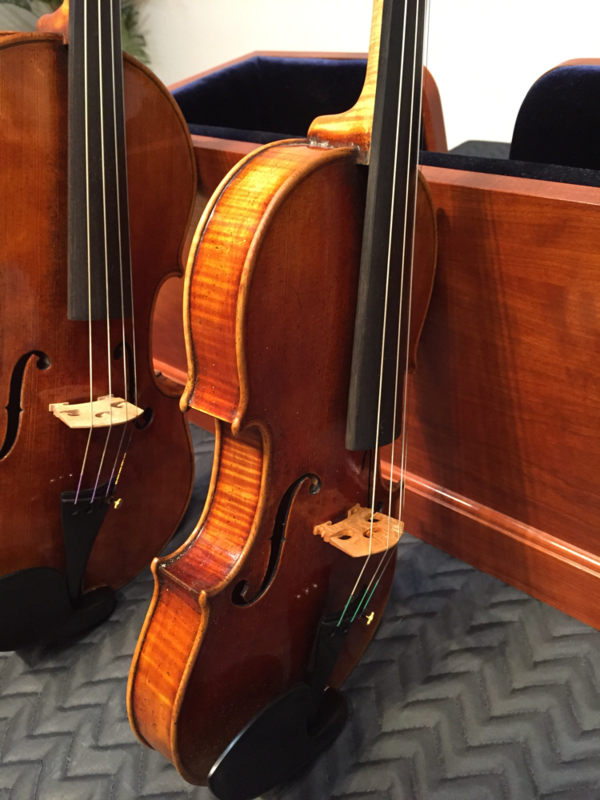 Trained at the Violin Making School of America and participant in the Oberlin Violin Makers Workshop, the occasional violin still makes its way off the bench, typically for competitions. 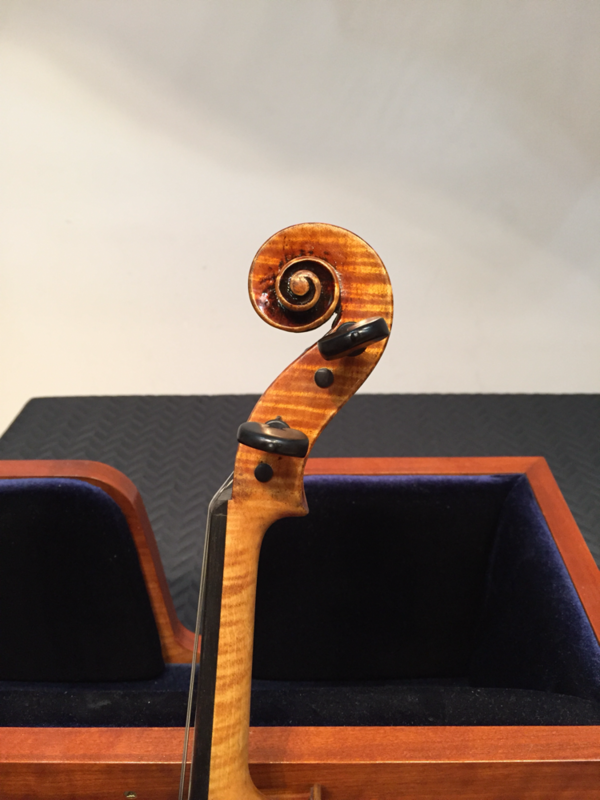 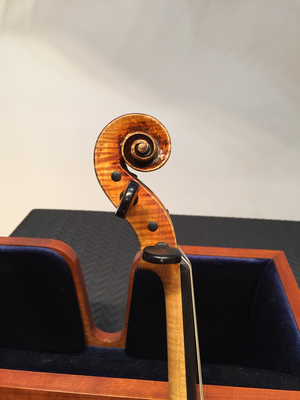 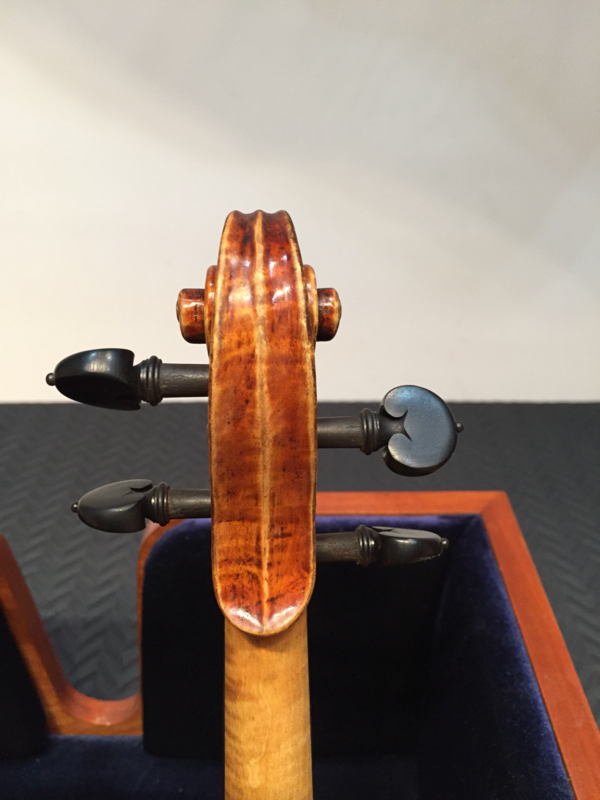 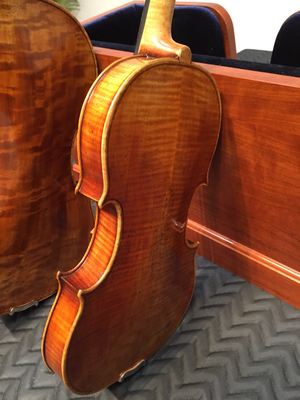 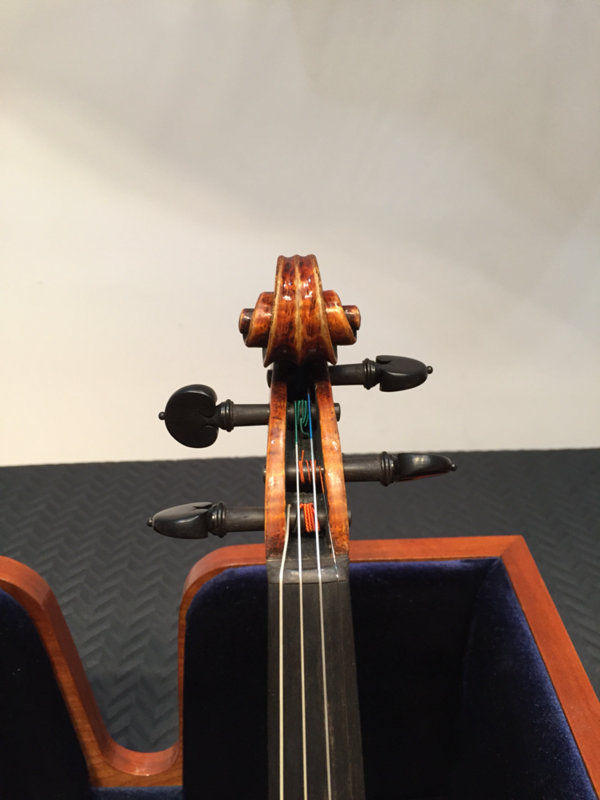 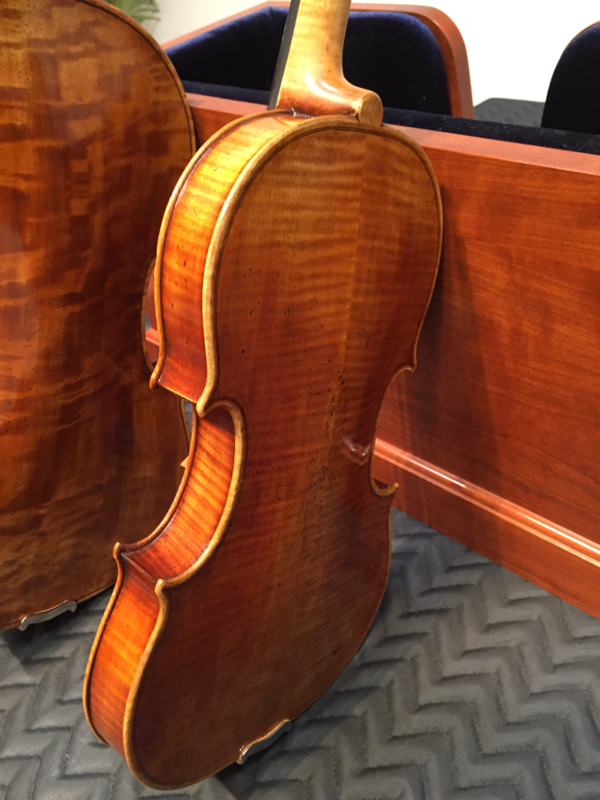 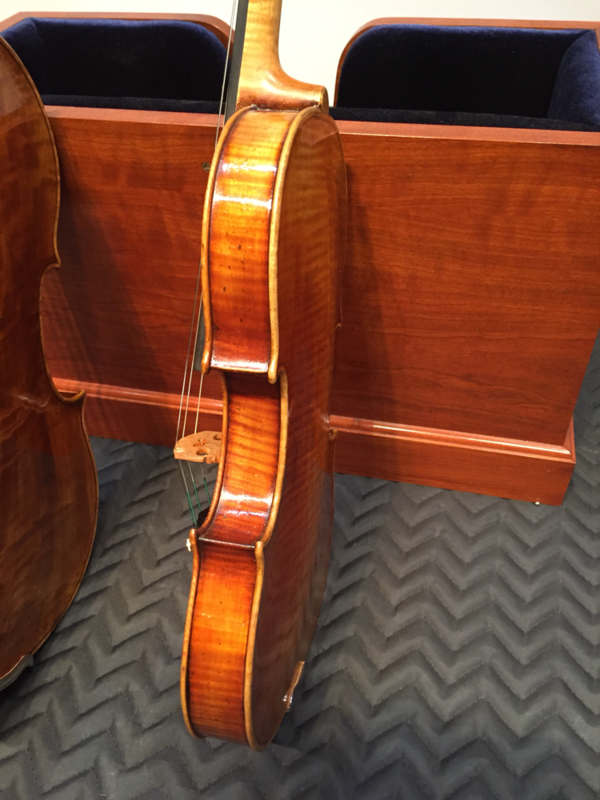 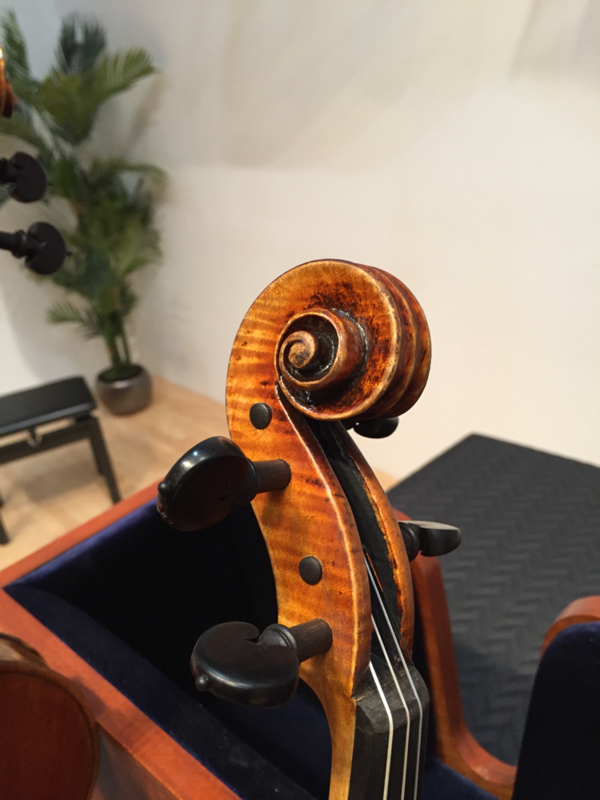 The smaller scale and refined nature of crafting violins offer a welcome break from bass making, and the heightened necessity for attention to detail serve as a pleasant recalibration for my eyes and hands. 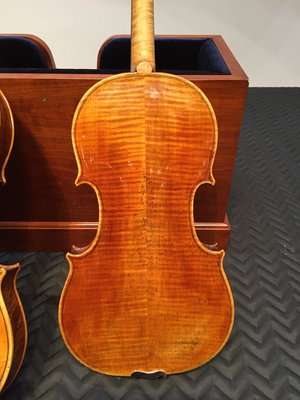 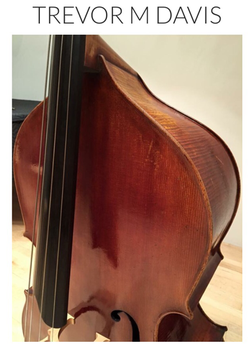 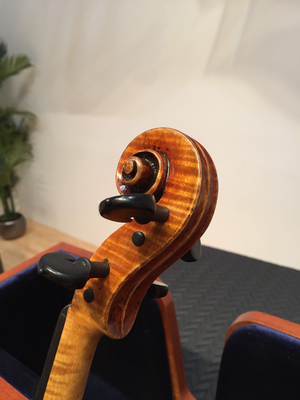 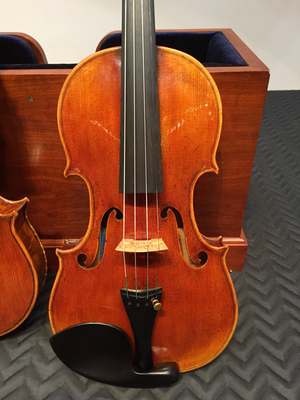 Tending towards a lower arch and rounder model, the tone of these violin models is typically dark and powerful with an open vowel characteristic.